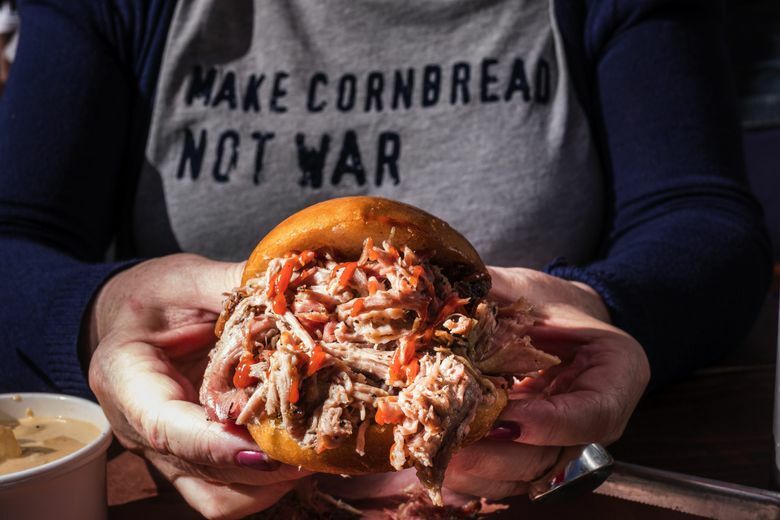 Barbecue, burgers and happy hours around Seattle were some of the big things on people's minds this month. What a month it’s been in the food and drink world. Amazon bought Whole Foods. A local, acclaimed destination restaurant got caught illegally requiring entry-level staff to work for free. And Costco now sells burgers. But there were other food items on readers’ minds this month — happy hour, barbecue and more burgers were at the top of the list for readers of the Eats & Drinks newsletter. 3. The fourth-best burger in America — it’s in South Park? Missed these stories? Sign up for our Eats & Drinks newsletter to stay up-to-date on the latest restaurant world happenings, and other food and beverage-related goodness.